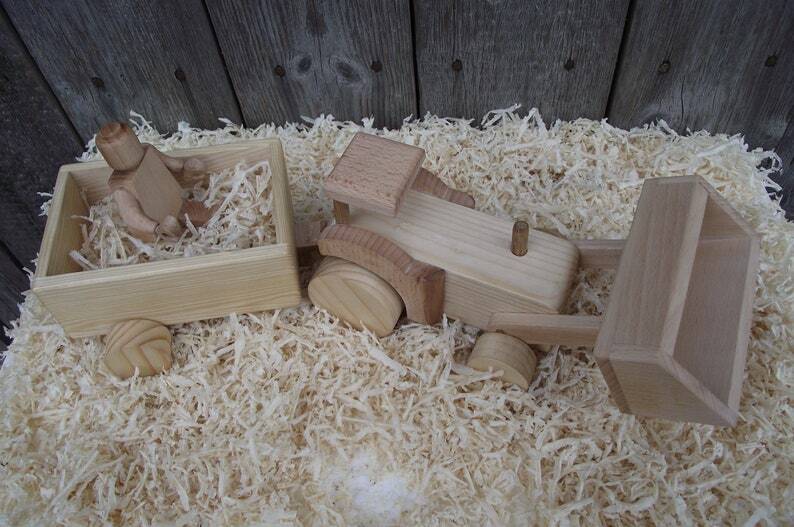 If you have been searching for an heirloom-quality classic wooden toy tractor we have made it for you! Wooden toy tractor, is something that can be a toy when a child is still small and as he grows up to become an heirloom that he will have as a sweet memory of his childhood. This wooden car is 100% handmade, encourages a child to inter into an imaginary world, which provides many important benefits for both intellectual and social development. Height 25cm/10in , length 10cm/4in, depth 5cm/2in . This car is made by the best masters with all the features: it is solid and will not fall apart when you play, rounded edges, holds a bunch of toys. Made of a natural wood beech wood, mahogany wood, oak wood.